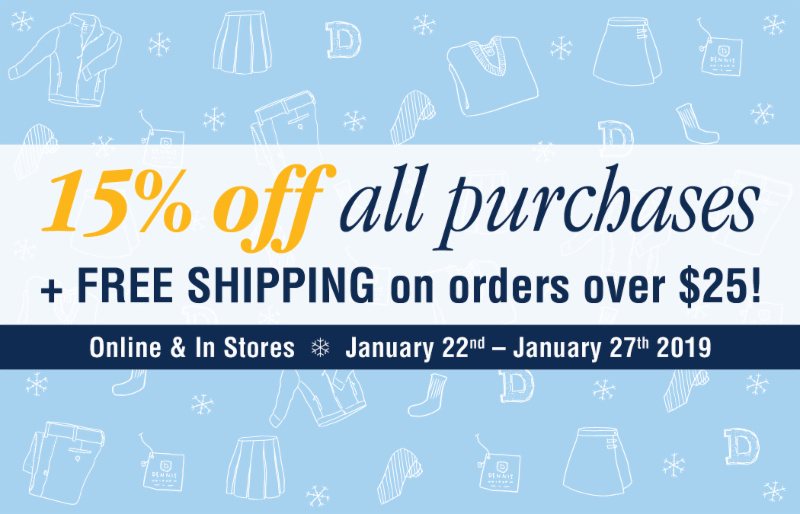 Get 15% off your purchase + FREE SHIPPING on orders over $25! Shop online and in stores, January 22nd – January 27th 2019. Marked down items excluded. Cannot be combined with other offers. Online sale activation begins at 4:30 am (PST) on the first day of the sale. Click here to order peel-and-stick washable labels for your uniforms! Use the code “DENNIS” to save 10%.